My New Flavor – Lemon Poppy Seed Hummus! Place biscotti in food processor and grind until chopped into crumbs. Add melted butter and mix. Press into a springform pan (8-9″). Bake at 350 for 25-30 minutes. Allow to cool completely. 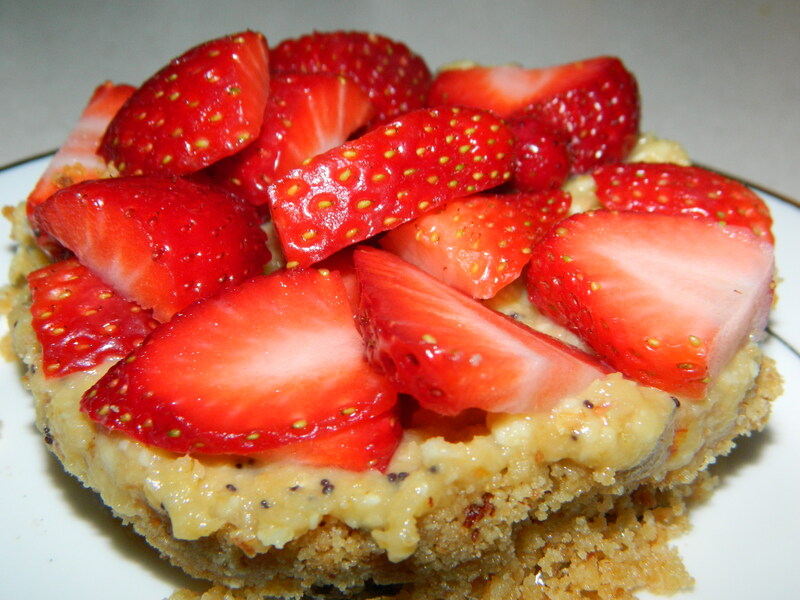 Spread lemon poppy seed hummus over cooled crust and layer sliced strawberries on the hummus. Drizzle with honey or agave nectar if desired. Slice and serve. Check out my other flavors here!